When in the process of designing and building a printed circuit board (PCB) for your device, you must determine whether you need a single- or multi-layer PCB. Both are used in many standard applications; however, the type you need depends on for what it is used. Each has certain capabilities that make it suitable for a specific job. Simple household devices benefit from a single-layer board while more complex mechanisms require a multi-layer PCB design. This article will describe the fundamental differences between each to help you determine which is right for your project. Single-layer or single-sided boards consist of a substrate layer, a lone layer of conductive metal, and a protective solder mask and silkscreen. Most manufacturing processes use copper as the conductive metal. One side of this board type consists of all the necessary components while the other houses conductor patterns. Due to their simpler design when compared to double-sided and multi-layer boards, single-sided PCBs are cheaper and are made quicker and easier. Their simple design is also one of their more significant drawbacks. 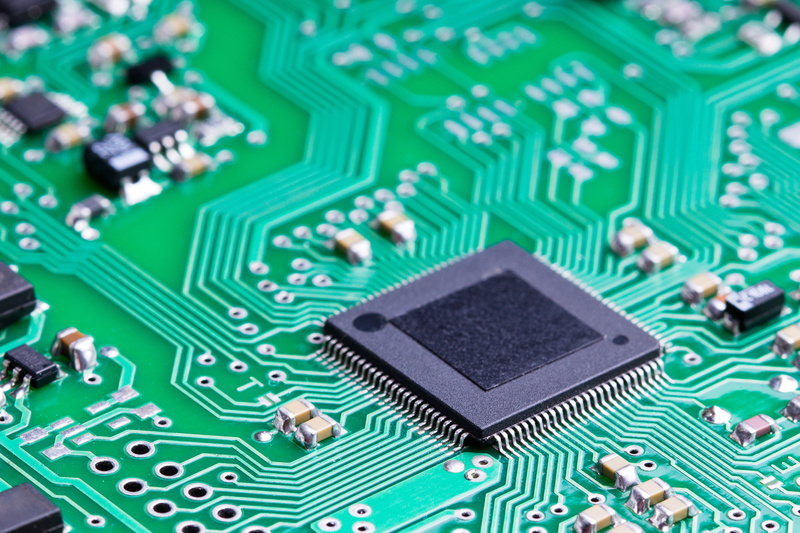 Because they have a limited number of connections, single-layer PCBs have slower speeds and lower operating capacities than alternative circuit boards. Another choice to choose from is a double-layer or double-sided board, which has more layers than a single-layer board but fewer than multi-layer ones. Like their single-sided alternative, double-sided boards have a single substrate layer. The primary difference between the two is that the double-sided board has one layer of conductive metal on both sides of the substrate. Multi-Layer PCBs consist of three or more double-sided boards arranged on top of each other with the use of a specialized adhesive. Each board has an insulating material placed in between two. While they can be made of however many boards you need, most are comprised of an even number of between 4 or 12 layers; this is because an odd amount can create warping and twisting post-soldering. Due to having more boards and connections, multi-layer PCBs are ideal for devices that have multiple different uses and advanced capabilities. When compared to other boards, they have higher operating capacities and faster speeds. However, due to their more complex design, they are more expensive, have slower lead times, and require more extensive repairs.